On Thursday, 20 July 2017, the country’s lone tertiary institution, TA Marryshow Community College (TAMCC), saw over 800 students leave its doors. Parents, teachers and well-wishers came out to support the 2017 graduating class at the graduation ceremony held at the National Stadium. 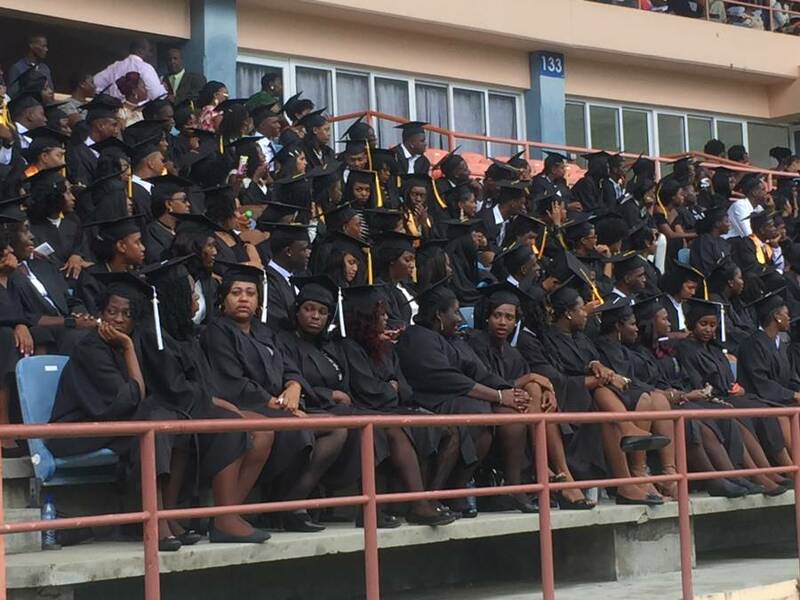 Minister for Education, Hon Anthony Boatswain, charged the 2017 graduates with the responsibility to keep focused on their future endeavours, whether they choose to further their education, or enter into the working world. Celebrating under the theme “Reorienting the College Curriculum to Cultivate Authentic Learning Outcomes for Employment and Social Fortitude,” Valedictorian Khali Buckmire, who graduated from the Natural Sciences Department, advised his colleagues to keep strong and not to give up. “Whenever you feel like giving up, remember all the progress you’ve made.” He encouraged them to keep pushing forward. The principal of the College, Dr Jeffery Britton, stated that the institution would be seeking to improve the services on all campuses. According to him, the school will be working closely with government and other stakeholders to ensure this is done. Sir Royston Hopkin KMCG, gave the Feature Address. Sir Royston, who is by no means a stranger to the students and the college’s Hospitality Department, congratulated the graduates and urged them to ‘stay relevant’ as they go forward with their lives.